Before Christmas, there was news that Josh Duggar, who has been in rehabilitation since summer this year, will not be home for the holidays with his family and four kids. An insider told Radar Online that the people in the rehabilitation center will be busy over the holidays as they are required to attend church service on Christmas Eve. “The holidays are a very busy time, with lots of activities,” the insider explained. With Josh confined inside the rehabilitation center and the Duggars not revealing any plans about flying out of state for the holiday earlier, it looked like Josh is set to spend his Christmas this year alone. This would not be a surprise as his siblings revealed how bad they felt about their eldest brother regarding his misdeeds. In the first episode of “Jill and Jessa: Counting On,” the special spinoff that features Jill’s long term mission in Central America and Jessa’s birthing journey, they shared that they are having difficulty in forgiving their brother, particularly when it comes to his infidelity. His siblings also felt that they lost a role model after the scandal was publicized. However, the Duggars may be trying their best to forgive Josh, especially at this season, as the family may just have kept their holiday plans away from the public’s ears. People confirmed that a private plane registered under the family flew out from Arkansas and arrived in Illinois, where the rehabilitation center is located at around 8:11 P.M. on Christmas Eve. At the moment, it is still unconfirmed who among the Duggars went to see Josh, but it may be the entire family or just John David accompanying Anna to the faith-based rehabilitation center. In addition, Anna is also doing her best to forgive Josh amidst all his scandals, “Anna has decided to stay with Josh and make their marriage work,” as she strives to “keep their family together,” said the same insider. 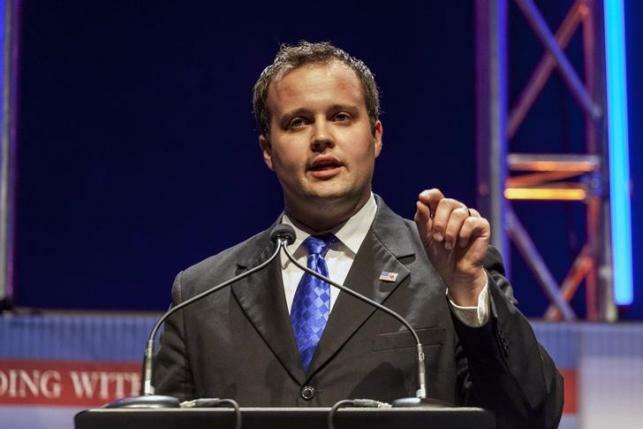 Their family show, “19 Kids & Counting” faced potential suspension back in May when he revealed that he molested five young girls, including his sisters Jill and Jessa back when he was a teenager. The show was cancelled and the public was outraged after he admitted that he was cheating on his wife Anna through Ashley Madison last summer. He was placed in a faith-based rehabilitation since then.